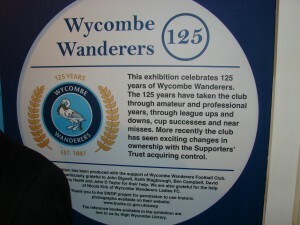 The Exhibition of Wanderers history and memorabilia may have closed but that does not mean that everything will be put back in the cupboards and forgotten. Some of the items that were on display at the Wycombe Museum were kindly lent to us by certain individuals and those have now been returned to their owners. These include the family of our benefactor Frank Adams. Of the rest many of the wall-boards telling the history of the football club will be used to help turn the Scores Bar into more of a ‘Club House’. Many of the photographs, plaques and pennants will also hopefully go on more open display around the bars and corridors and, subject to appropriate security, even some of the trophies that the club has won over the years might be on view to our supporters. 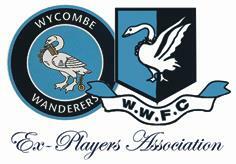 The Trust is grateful to the WW Ex-Players Association for all their help in setting up and dismantling the Museum Exhibition and for funding the work that needed to be done to install the wall panels inside Adams Park.